Three day conference Pep Asia 2007 welcomed more than 300 aspirants and established photographers coming together from across countries to learn the art of photography from more than 30 international award winning photography masters of the world. The conference went beyond an experience into developing a stronger community of photographers committed to the cause of storytelling through photography and bound together by the name - PEP ASIA. From Pulitzer winner and veteran photographer Brian Smith to WPPI Grandmaster Jerry Ghionis to Fear Less Photographer Siva Haran to Indian gem Photographers Joseph Radhik, Auditya Venkatesh, Anup J Kat, Vishal Punjabi and many more, the conference brought the global masters on a single stage taking the aspirants through the Art Business & Craft (ABC) of Photography. 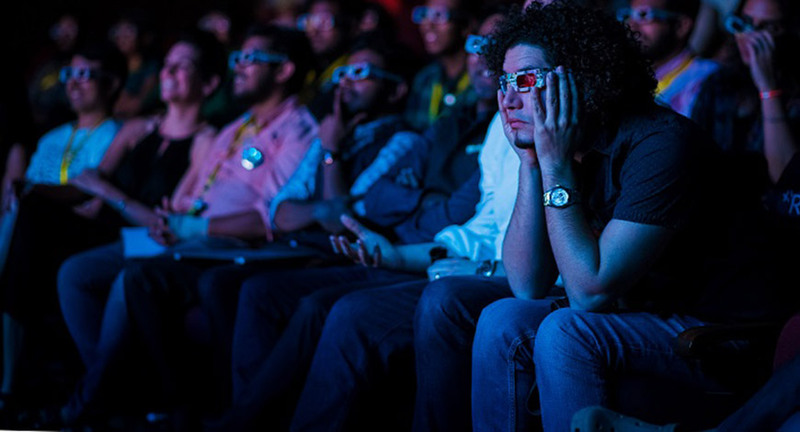 The event had an array of interesting activities lined up giving photographers a chance to enhance their skill set. 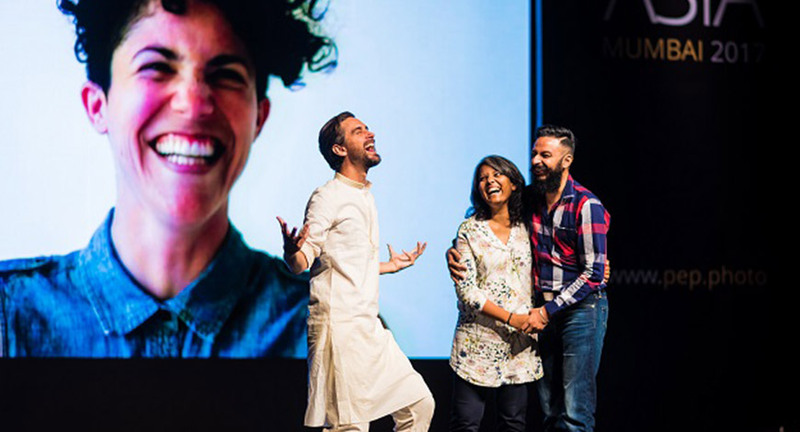 The journey began with a moving session by Jesh De Rox who taught the power of true emotion in making portraits followed by Pulitzer Prize winner Brian Smith’s and World’s top Wedding photographer Jerry Ghionis. While Brian recreated his Photographic moments, Jerry unveiled the style of capturing the perfect emotion in a picture. The first day also witnessed a special rapid Peecha Kuccha session by Joseph, Melissa (Jerry’s wife) and Auditya Venkatesh enlightening the audience with the intricacies of photography. The second day was led by the Business of photography with speakers like Entrepreneur Joshua Karthik (Founder of Stories by Joseph Radhik), Media Specialist Patrick Colpron, Canadian #South Asian Wedding Photographer Siva Haran and many more. Standing true to the motto of “Stronger Together”, the third day brought down photographers from different walks such as Indian Wedding photographers Vishal Punjabi from ‘The Wedding Filmer‘, Anup J Kat from ‘Sharks & Brides’, Adobe master Abhishek Mukherjee, ‘Stay Hungry Stay Foolish ‘Author Rashmi Bansal, MyWed.com's international Photographer of the Year Mauricio Arias accentuating the significance of human emotions in a photograph and sharing their style and craft with the aspirants. The last day summed up the entire experience build at PEP ASIA with intensive workshops from the masters to help the aspirants hone their art at the hands of their heroes. 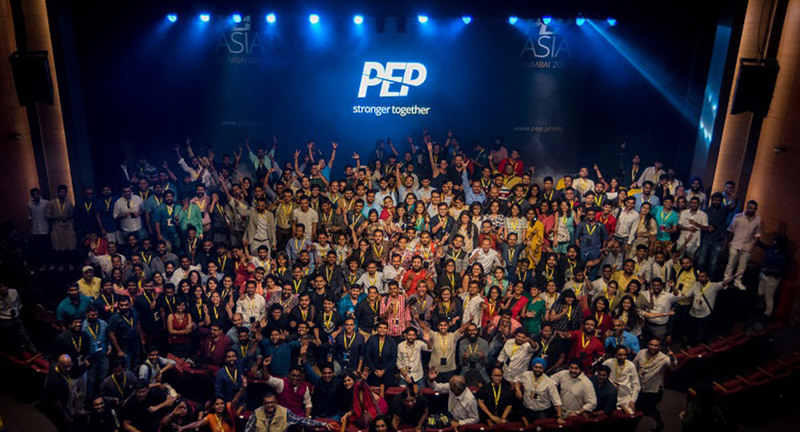 The conference ended on an exciting note for the aspirants with a reveal of the PEP ASIA 2018 Calendar and the announcement of an association with Rang De (an NGO) with the PEP Community pledging to spread stories in the world of the under privileged through their photographs.